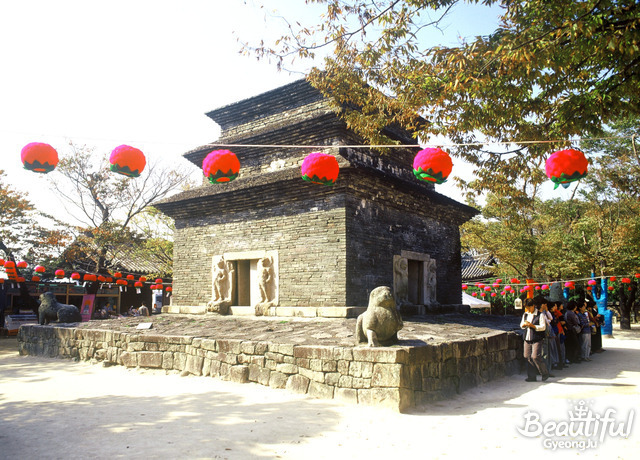 This stone pagoda is the oldest of Silla’s remaining stone towers. 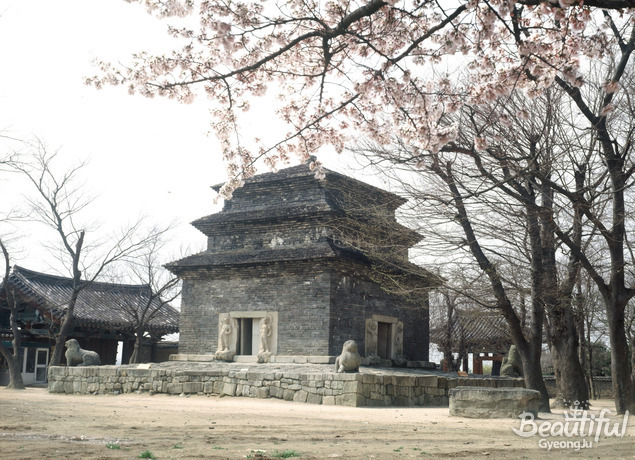 It is an imitation brick pagoda that was made in the 3rd year of Queen Seondeok’s reign in the Silla era (634), by trimming Ansanam rocks into a brick shape so that they could be piled up. 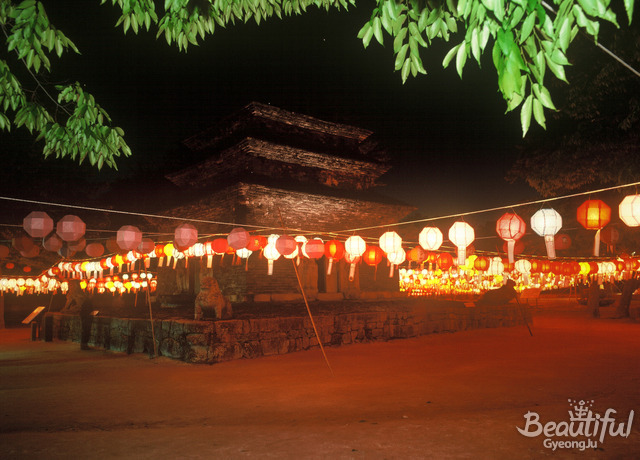 Considered as big as a stylobate or a tower, this is estimated to have been originally a seven-story or nine-story stone pagoda. In 1915, it was dismantled and repaired after the Japanese destroyed it. 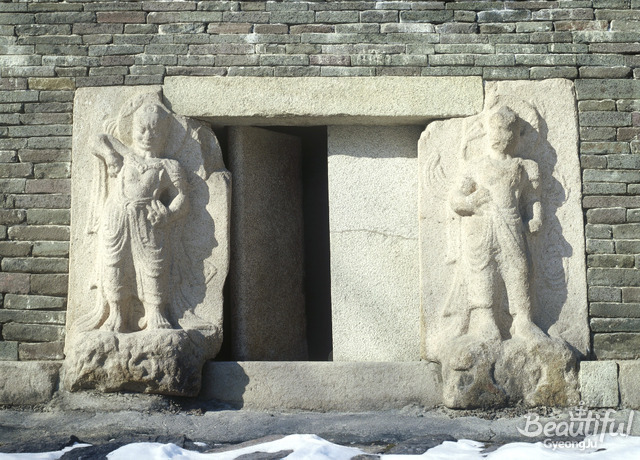 It has double-hinged-door-type gamsils on the four sides of the body stone on the first story of the pagoda, where Buddhist statues are enshrined, on both sides of which Inwangsang (guard) statues, which keep the teachings of Buddha, are sculpted in relief. The four stone lions are mounted on the stylobate that is made of native rocks. A stone sarira casket, which was discovered in the tower, contains various beads, scissors, gold and silver needles, a silver case, and coins (Sungryeongtongbo, Sangpyeongosu). 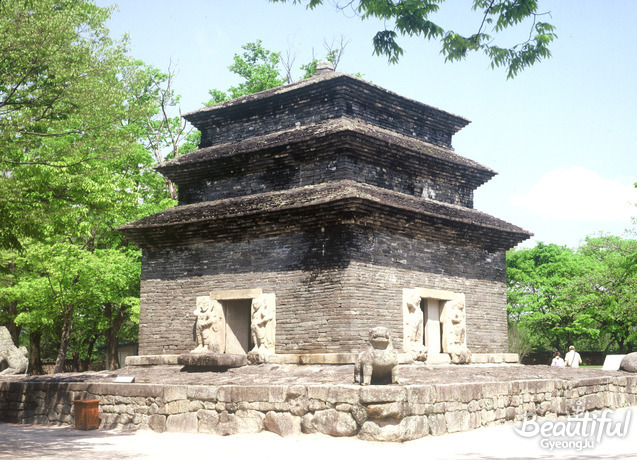 It can thus be presumed that this pagoda was dismantled and repaired during the reign of King Sookjong and King Yejong in the Goryo period.